This is a reminder that Moog Animatics will be closed for the holiday season from Monday, December 26, 2016 through Monday, January 2, 2017. We will reopen on Tuesday, January 3, 2017. During the shutdown period, we will not receive any shipments (RMAs) and orders can not be placed. However, our Springfield, PA, facility will continue building and shipping existing orders during this time. We apologize in advance for any inconvenience and ask that you please plan ahead for placing your orders. 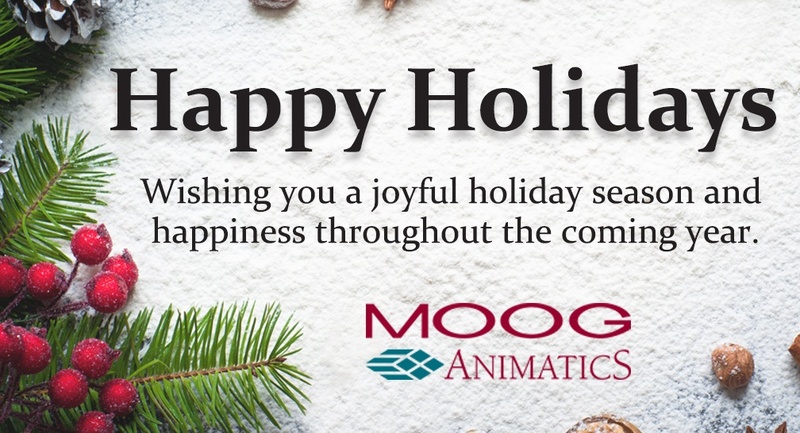 The entire Moog Animatics team appreciates your continued business and support, and we look forward to working with you toward a successful and prosperous new year!